If you are in this country, you will know that the economy is not smiling. 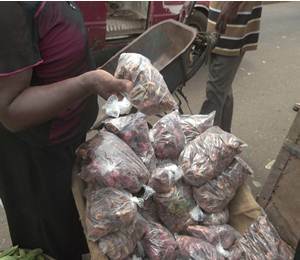 The cost of almost all commodities is on the increase including tomatoes. 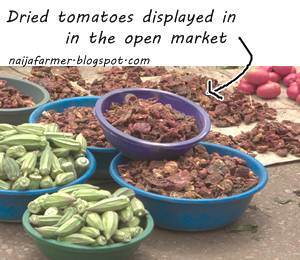 In fact, I went to the open market to enquire and found out that 6 fruits of tomatoes sells at N500. I was shocked, because I could remember buying up to 17 pieces for N100 around february this year. 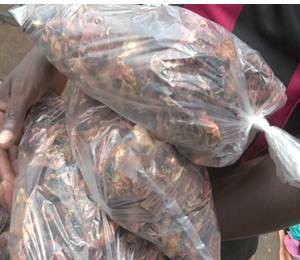 I went to research on the cause of tomato scarcity and found out that it is because of "Tuta Absoluta” the disease that experts identified to have affected tomato farms leading to scarcity of the product in the nation. The disease has affected six tomato producing states, including Plateau, Jigawa, Kano and Katsina. Tuta Absoluta had high resistant to the commonly used insecticides and had the capacity of spreading to other crops like pepper and Irish potatoes. So people has resorted to the use of tinned tomatoes paste. I was surprised when I went to the market and saw these dried tomatoes. 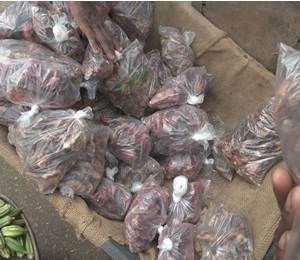 Although people had no much choice but to buy these tomatoes, all I fear is the hygiene of these dried tomatoes. The dried tomatoes may not be healthy maybe due to dust and the seeming uncleanliness of the storage. If you an entrepreneur and an agriculturist you will see that this is a good business venture.